Okay, so LED-equipped headphones aren’t that useless, because as the video below shows, people can put it on when they’re jogging at night. But I’m sure the incessant blinking of the LEDs will tempt motorists to run you over anyway. 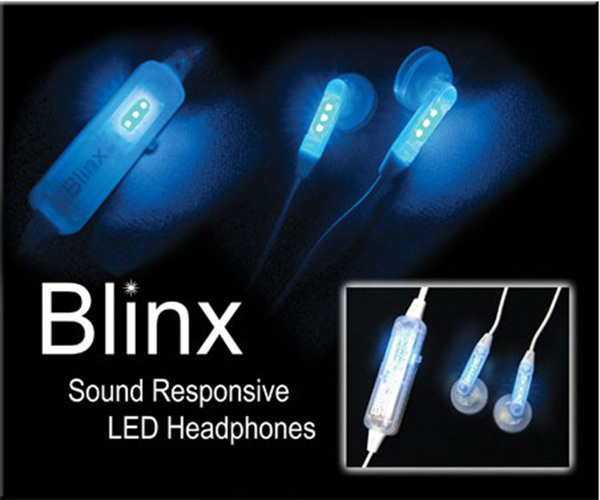 As its name implies, the LEDs in Blink headphones sync with the music being played, allowing you to induce epileptic seizures within a 5-foot radius simply by listening to Squarepusher. As I always say, it’s your money. You can get a pair of Blink headphones at PrezziesPlus for £25 (approx. $40 USD). Batteries included.